We’ve had incredible winds here of over 100 miles per hour as Hurricane Katia reaches us here in Scotland. I hear there is even worse to come, so we’ll see. It’s frequently wet and windy in Scotland but it has been much wetter and windier than usual this year. I don’t know if it is anything to do with global warming or simply a natural cycle that happens every generation or whatever but the grey skies that have been close to constant since late summer have become depressing and make one reluctant to go outside. Scotland does not have great weather at the best of times but this has been much more severe than usual. 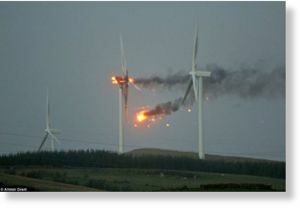 Below is a photograph, from http://www.sott.net, of a wind turbine in Ardrossan, not so very far from where I am, which burst into flames because of the force of the winds making it spin in the wrong direction. Still, there has been relatively little damage, despite the roaring winds; the hut is in a bad way, a small amount of tile repair required on the roof, a huge tree came down in our adjacent little field and about 6 foot or so was blown off the tops of a few of the pines growing further down the field, where there is a small wood entirely of very tall pine trees. There are smallish branches, from the old trees surrounding the house, littering the place, the plant covered metal mesh arches have blown over, etc. but no drastic damage. An acquaintance’s car, in a tiny village about 3 miles from here, was flattened when a large tree fell on it but it was empty and parked outside his home when it happened. There’s been some flooding in the town, which is in a valley, but my home is on a hill on the edge of the countryside, so is never going to flood. When I think of Japan’s tsunami and other natural disasters around the world, I do admit we have been let off lightly. January 10th was Seijin-no-Hi in Japan. 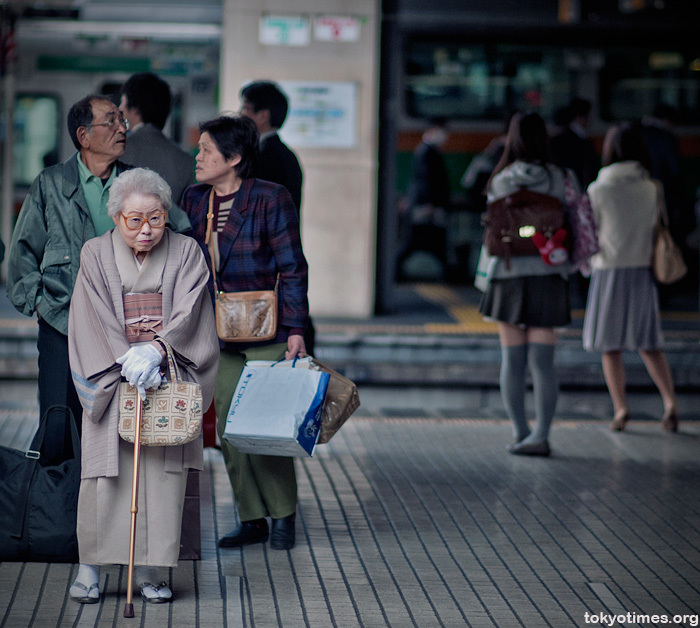 Seijin-no-Hi is the Coming of Age Day when people who will have their 20th birthday in the present year all celebrate. The celebration begins by going to local government office, then to a shrine with their parents, then partying the rest of the day away with friends. 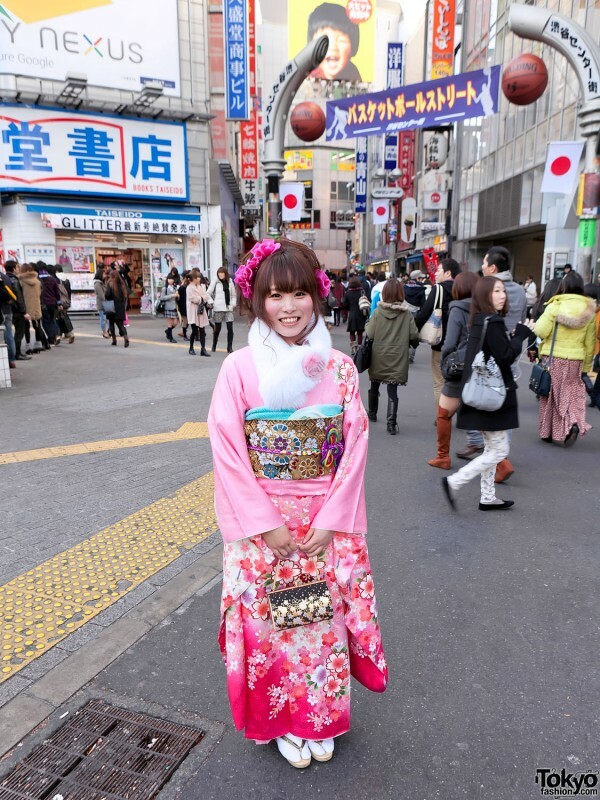 Young women usually dress up in wafuku (traditional Japanese clothing) for the day, which means wearing a furisode kimono, which has exceedingly deep sleeves and beautiful patterns on it. Young men may wear wafuku too, with an ensemble of kimono, hakama and haori, though most seem to choose to wear yofuku (clothing that is not traditional Japanese clothing), usually a standard suit. Of those young men who do wear wafuku, some wear the more usual, formal ensembles, comprising montsuki kimono and haori in black and hakama with black and white or grey stripes, but some turn it up a notch and wear even more striking versions, with brightly coloured kimono and haori and hakama of bold patterns and gold brocade, sometimes seen with very contemporary hairstyles, such as spikey blonde styles etc. I love both the more sedate versions and these more gaudy ones and the mix of traditional and contemporary. Tokyo Fashion as a blog post about Seijin-n-Hi in Tokyo so, as I’ve written about it before on this blog, you may want to visit theirs, as they have lots of lovely photos such as the one below. You can see more photos here on Akakusa Diary, which has, amongst others, the picture below, with young men in both contemporary and traditional clothes and both colourful (front left) and serene (front right) versions of the traditional outfit. type 2 – Chu-Furisode: a furisode with sleeves that are around 100cm in length. “Chu” means “medium”. Type 3 – Oh-Furisode: “oh” means big, therefore oh-furisode means big, swinging sleeves, with the longest sleeves of all the furisode type kimonos. Oh-furisode have sleeves of 114 – 115cm. This is the type that would be worn for Seijin-no-Hi. all the kimonos shown above are oh-furisode. 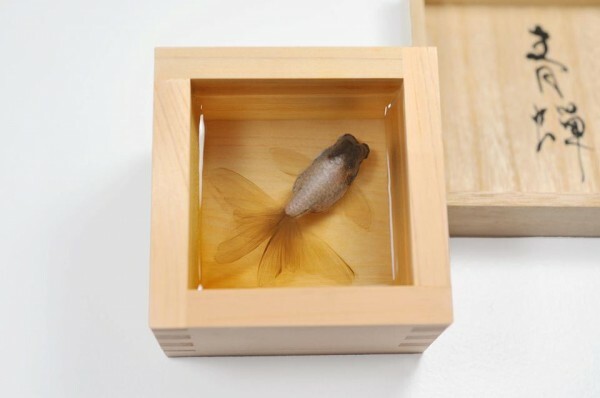 Check out the 3D paintings by Riusuke Fukahori; he paints a layer, pours on thick layer clear lacquer, paints on that and repeats the process until done. You can see pictures of his work here on the www.thisiscolossal.com design website, as well as a short film of him doing the work. 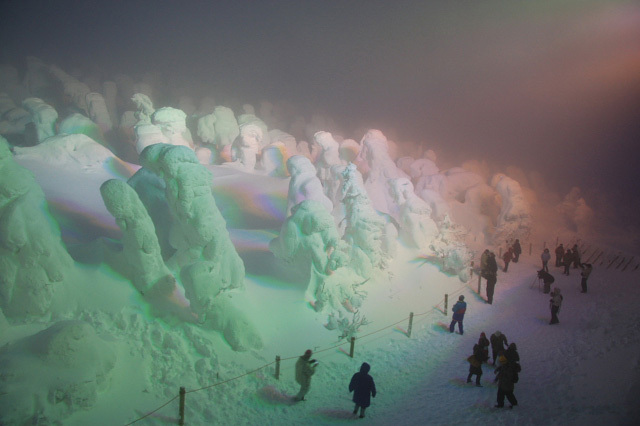 It is worth having a look at these trees covered in snow and rime ice in Japan, known as “snow monsters”. You can see one photo below and lots more here on the Pink Tentacle website. Enter your email address to to receive email.notifications of this blog's new posts.